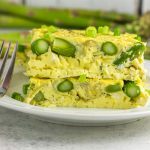 This lemon asparagus artichoke egg bake is a delightful spring breakfast perfect for reheating all week or serving a crowd. It’s a paleo and Whole30 compliant recipe packed with vegetables and kissed with lemon. It’s been WAY too long since I posted an egg bake recipe. 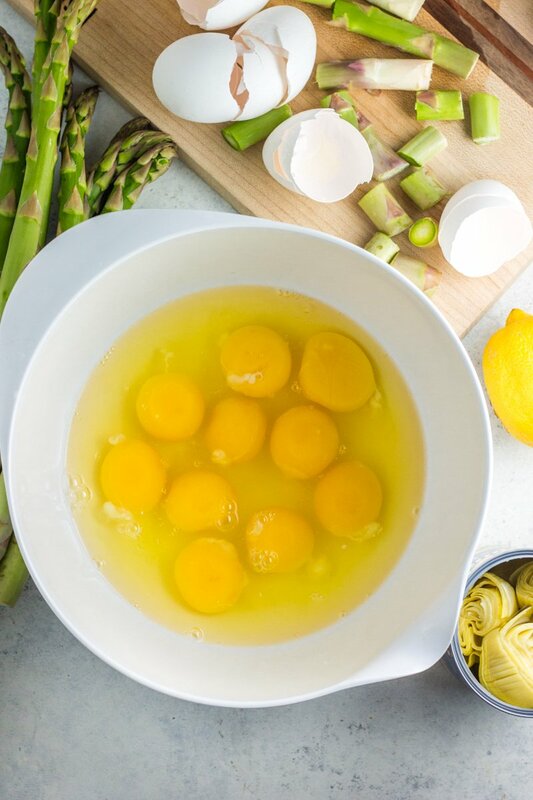 Egg bakes are always that ‘thing’ I do on Sundays – scour my refrigerator for any leftover veggies, throw them in a bowl with a bunch of eggs, dried herbs, a little almond milk and bake until perfectly perfect for reheating all week long. So why the heck have I waited so long to post this?! It’s kind of like that system you have for buying Pull-Ups at Target. You know when to use the Cartwheel app, when to redeem your points, what week of the month has the best deal. But when your closest girlfriend sends you a text, swearing they’ve maxed out their son’s college fund, in an attempt to potty train for 9 months and making it rain at Target buying Pull-Ups like they’re going out of style, you kind of smack yourself for not sharing the complete money-saving Target tips with her until now. Probably a bad analogy, but you get the picture. I formally apologize for not posting more egg bakes on Physical Kitchness. It’s just plain silly of me, since they are such a staple for our busy mornings! 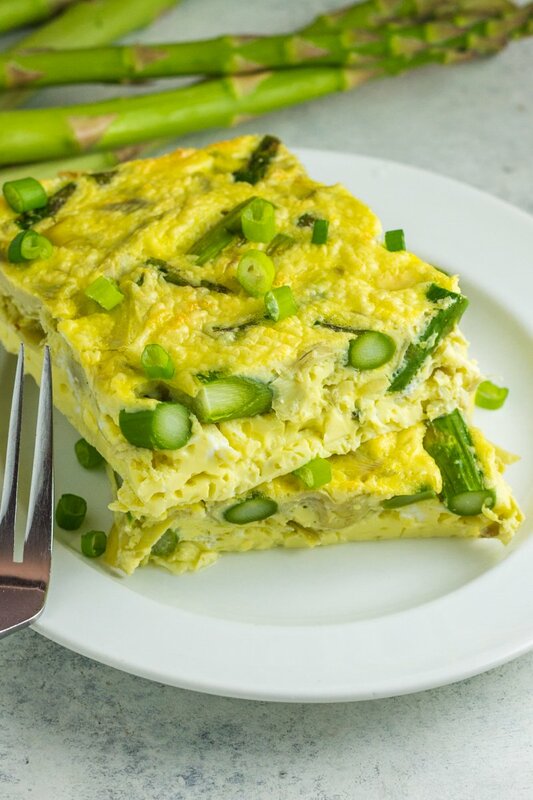 This lemon asparagus artichoke egg bake is my newest healthy breakfast obsession. It might put all my other ‘regular’ egg bakes to shame. 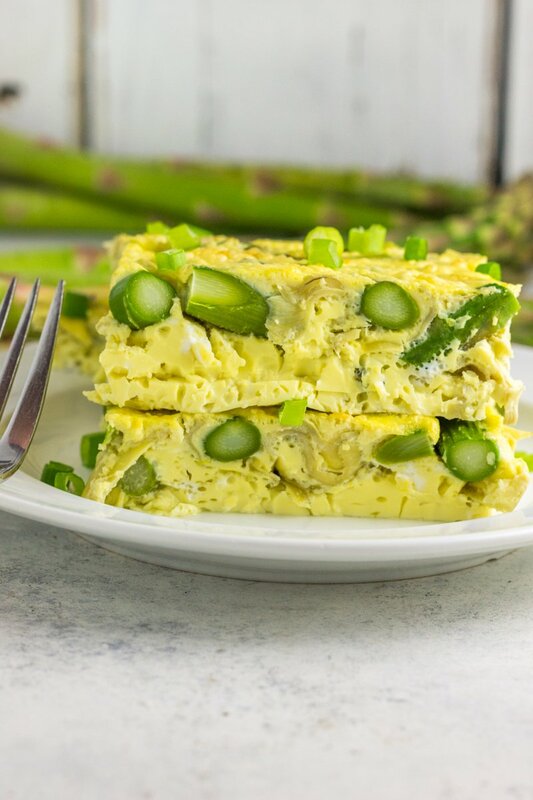 Fresh, seasonal asparagus, artichoke hearts, and just a pop of delightful lemon make this egg bake a must make this spring. Dairy free, gluten free, and packed with protein. You can stock up at Pull-Ups AND asparagus at Target now. Grab a lemon and can of artichokes too. This recipe is so easy and ingredients are minimal. WIN! Want to add some chopped spinach? Go for it. 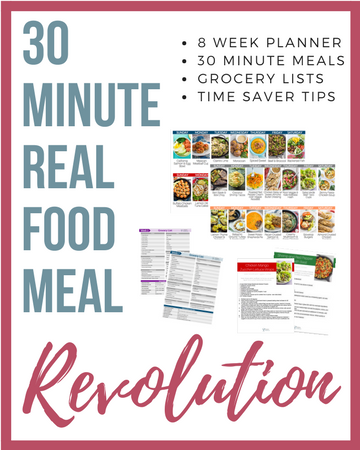 This recipe is easily customizable and perfect for packing as much goodness if you’d like. 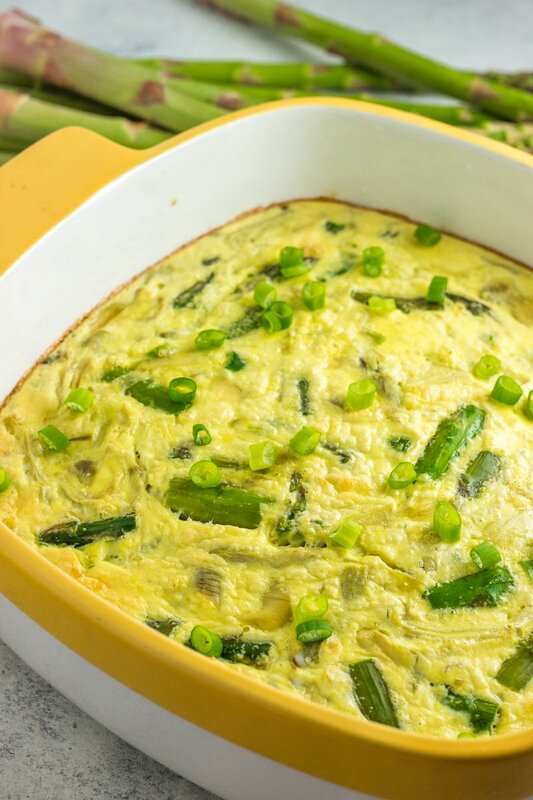 A power breakfast for kids and adults, and a fantastic option for a group brunch or potluck. Curious about the other egg bakes that have made the cut? 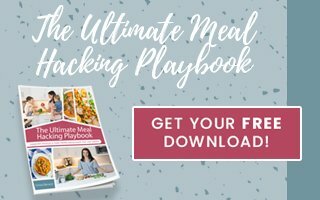 Check out this Caramelized Onion Butternut Squash Crustless Quiche and try making these Mason Jar Sweet Potato Ground Turkey Scramble into a full egg bake instead of individual jars.